Kaizers Orchestra were playing in Stavern, on the weekend when I was in Norway anyway – a great opportunity to check out Stavernfestivalen! I had planned to go there a couple of years ago when Kaizers played there the last time, but in the end, it hadn’t worked out. This time, I planned ahead and made it happen – just for one day, but better than nothing, right? 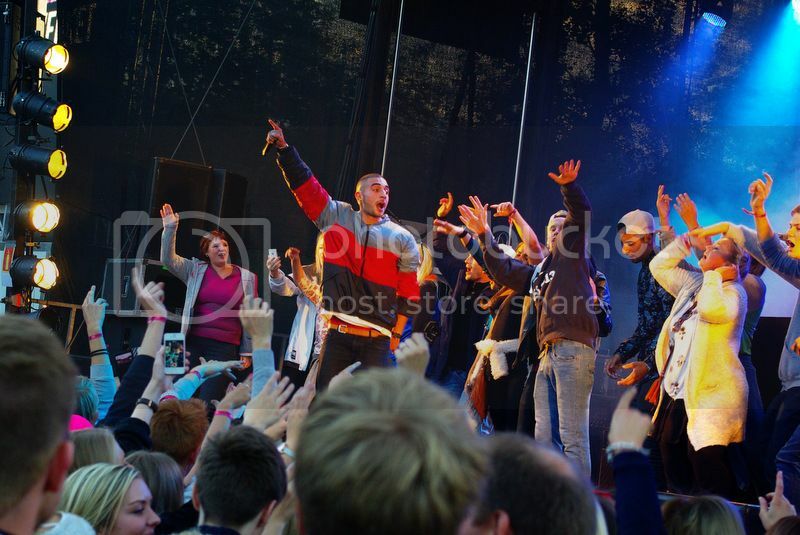 I gotta admit though that Stavernfestivalen had a bit of a disadvantage. I came there right from Odderøya Live, a festival that was so well organized that it just basically blew my mind. Now, arriving at Stavernfestivalen, not really being sure which bus stop to get off and in which direction to walk to get there – hmm, not the most positive first impression you could have… =:-/ Getting in worked just fine, except that there were no lanyards left for the press passes – which is pretty inconvenient, you can’t just hold the pass in your hand all day, right? The guy at the accreditation booth was really helpful though and gave me his lanyard. Thanks a lot! And I guess that sums of a bit of the festival spirit – things often weren’t going the way they should, but people were trying to help where possible; just that sometimes, they just didn’t have a clue how… Which can be really charming, and I know quite a few festivals in Germany where it is just the same, but since I was so used to the professional organization from the festival before, it left a negative impression. 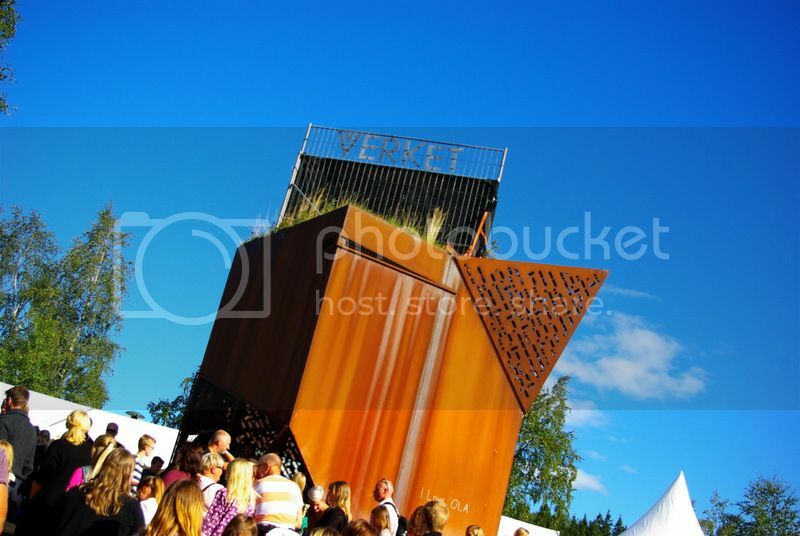 All this might sound really negative, but all in all, Stavernfestivalen is a nice festival. Even though a few things were a bit chaotic, others were organized perfectly – the night busses, for example, or the food and drinks. And it seemed like the audience was really enjoying themselves, and this is the most important part, of course! 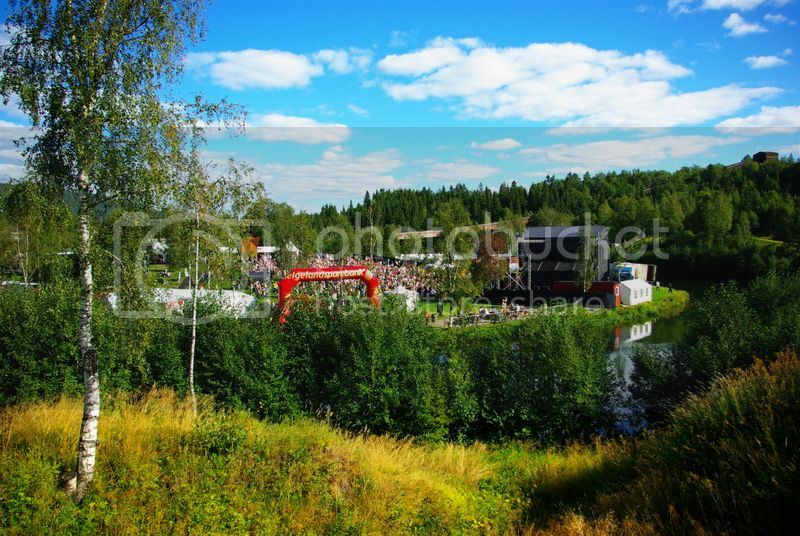 Even though the size of the festivals probably didn’t really differ a lot, Stavernfestival seemed much smaller than Odderøya Live – Odderøya Live was the “professional” festival, Stavernfestival the slightly improvised, local festival, with its own festival spirit. Well, and now I wrote a full festival report without even writing about the music! =;-) But I’ll keep that short as well, because I was quite busy throughout the day and only got to see parts of the shows. Next up on the big stage was The Soundtrack of our Lives. Very nice and entertaining music, but unfortunately, there weren’t as many people in the audience as they would have deserved. Still, a great show! I pretty much missed Jarle Bernhoft after that, but judging from what I had seen at Odderøya Live and what the crowd seemed like from afar, he had a huge audience and delivered another pompeous concert. Den Svenska Björnstammen played on the small stage right before Kaizers played on the big one, and they gathered a huge crowd with their party music. Nice to watch, and a great warm-up for the headliner! Concluding the day and the whole festival, Kaizers Orchestra played an amazing concert and convinced everyone why they are Norway’s best live band at the moment! 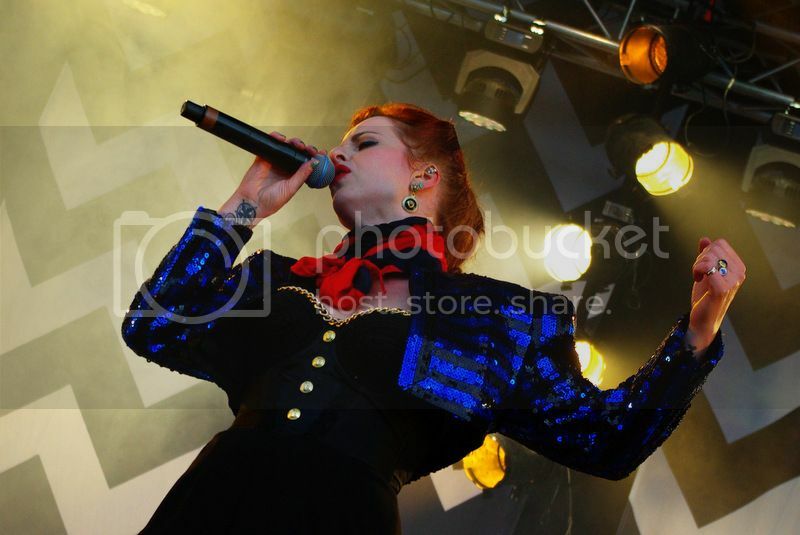 You can read all about their concert in my full report on kaizers.konzertjunkie.com! Time for another festival in Norway! Kristiansand, Norway’s “summer city”, is the perfect place for a summer festival – a great and easy to reach location, a huge potential audience, and of course lots of sun in the summer time! 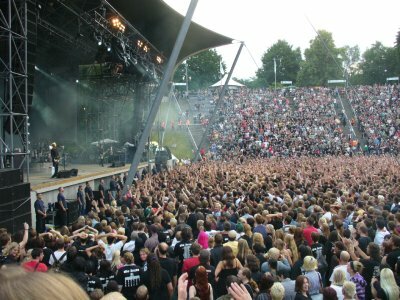 Starting in the nineties already, Kristiansand hosted Quartfestivalen, which featured huge international bands. 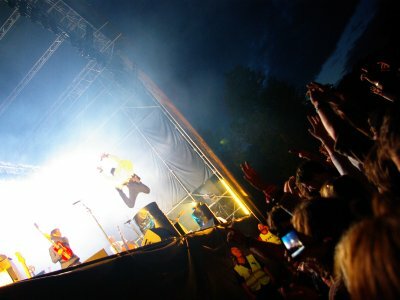 After quite a few financial problems, Quart had to close down, and now the slightly smaller Odderøya Live festival took over. 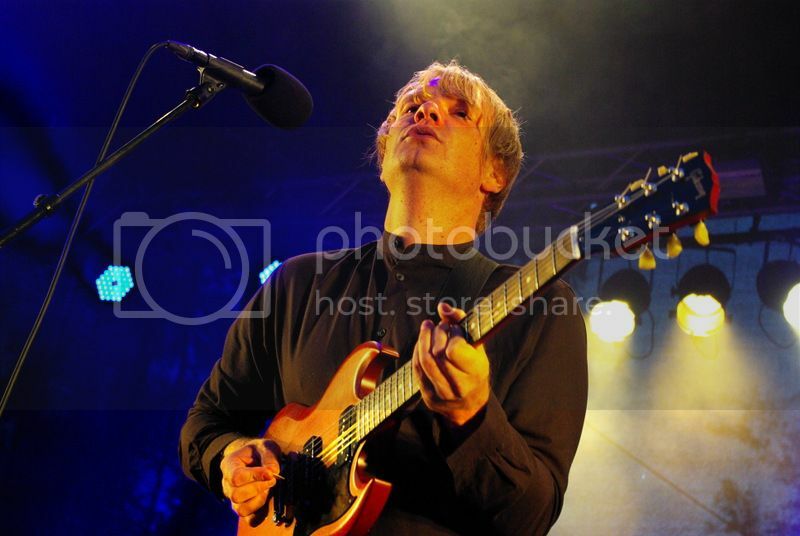 The first artist of the festival was Sordal. According to the information in the program, he has been playing in lots of very different bands ranging from prog rock and Norwegian pop to electronica – and you could hear that. While you could probably classify all his songs as “pop rock”, they were very varied. A very nice start into the festival! Next up was Daniel Norgren from Sweden. He was advertised as “a mixture between Mississippi blues/country and Swedish forests” – hmm, okay? Sounds interesting. And it was! Daniel sang and played guitar and drums (at the same time of course) and was accompanied by stand-up bass and organ. His performance reminded me a bit of Jarle Bernhoft’s solo gigs – not necessarily considering the musical style, but from the way he presented himself on stage. Very enigmatic and enthusiastic; it showed how much he enjoys playing music. Both bands were perfect warm-ups for the evening. The area slowly started to fill up – very slowly though, I guess most people were planning to arrive in time for Raga Rockers. 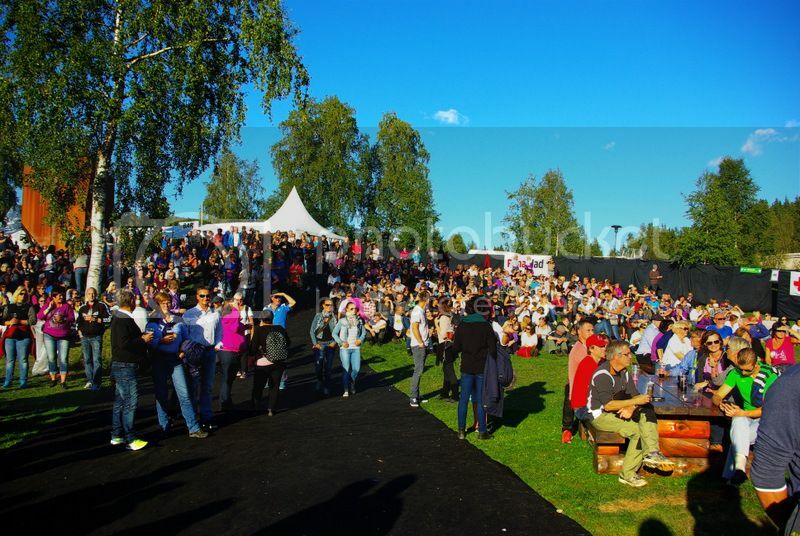 However, those who were there already were sitting on the ground, enjoying the music and relaxing in the sun. Yes, there was sun! Even though the weather forecast hadn’t been the best, there was no rain and the sun came out in the afternoon. The perfect conditions for a festival! However, I got to admit that I was a bit disappointed by their concert. The setlist was good, the music was great, the sound was pretty bad in the beginning but got better – but I was missing the energy on stage. OK, the band members aren’t the youngest anymore, and this might be their last tour. 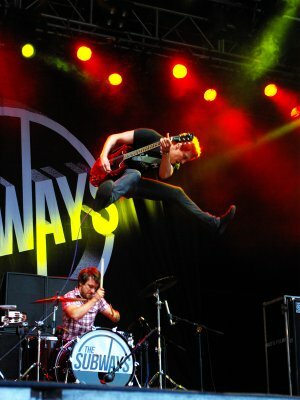 However, they were barely moving on stage, which killed the atmosphere in my opinion. It didn’t reflect in the music, fortunately, so when you closed your eyes the concert was just as captivating as I had expected, but I really would have hoped to see that on stage as well. A bit of a pity! But still great to get to see them. The audience got more and more into it throughout the concert – by the last few songs, most people were on their feet and singing along, so Raga Rockers managed to capture the audience without even moving. =;-) That’s a bit of a feat to accomplish as well! Headliner of the night was John Fogerty. Honestly, I had never heard that name before the festival, but of course I had heard the name Creedance Clearwater Revival – and that is basically John Fogerty. So I expected an old-style rock’n’roll concert, and that’s just what we got! He came on 20 minutes late, but played almost two hours. And only hits in the end, of course! There was quite a crowd by the time John Fogerty came on – maybe not quite sold out, but a huge audience. As expected, the average age was a bit higher than at other festivals; no wonder considering the headliner. But there were quite a few younger people in the audience as well, and both young and old were enjoying the show and singing along loudly. The few rain drops in the middle of the set couldn’t ruin the atmosphere, and this concert was clearly the highlight of the first day. The program of the second day was completely different from the one of the first day. Aimed at a much younger audience, we got a “radio hits day” today. At first, it looked like nobody was interested in the first act of the day – by the time Gabrielle was supposed to start, the area was entirely empty. However, it turned out that she had arrived late, so the start of the concert had to be moved back a bit, and the doors hadn’t opened yet. Once the first people started coming in, it filled up really nicely, and as expected, the audience was a lot younger. The first row was filled entirely by teenagers. Behind them, everyone was enjoying a nice start into the festival, again relaxing in the sun and listening intently. Gabrielle came on about 20 minutes late. 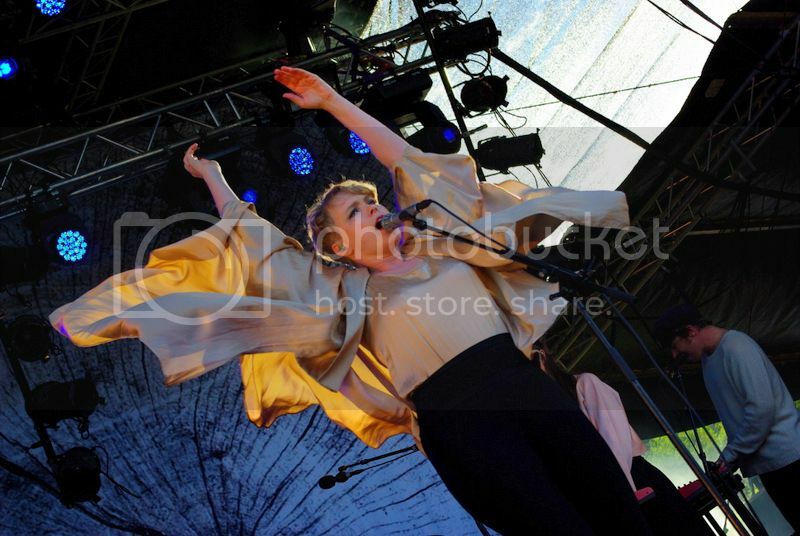 She got a few radio hits in Norway, and the audience seemed very positive about her show. Norwegian pop, accompanied by two keyboards and drums, and a great voice. A nice way to start into the festival! Obviously, not only the audience was quite a bit younger today compared to yesterday – also the average age on stage was much lower. The next band on stage was Honningbarna – young guys (actually from Kristiansand!) 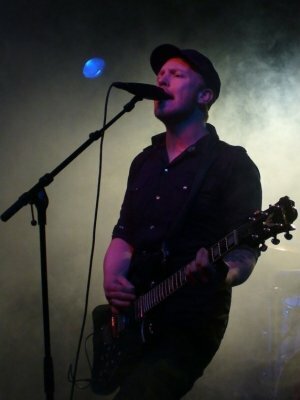 playing punk music, who got hugely popular in Norway during the last two years. And rightfully so! 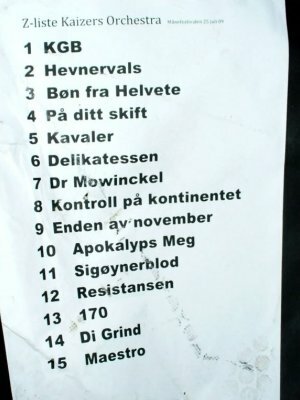 I hadn’t managed to see them live yet, I had just heard they were quite a rip-off of Skambankt, another Norwegian band. And yep, in a way that is true, but they do add their own elements to the music. The singer plays a cello during some songs, and while his singing might not be the best, he brings the lyrics across. 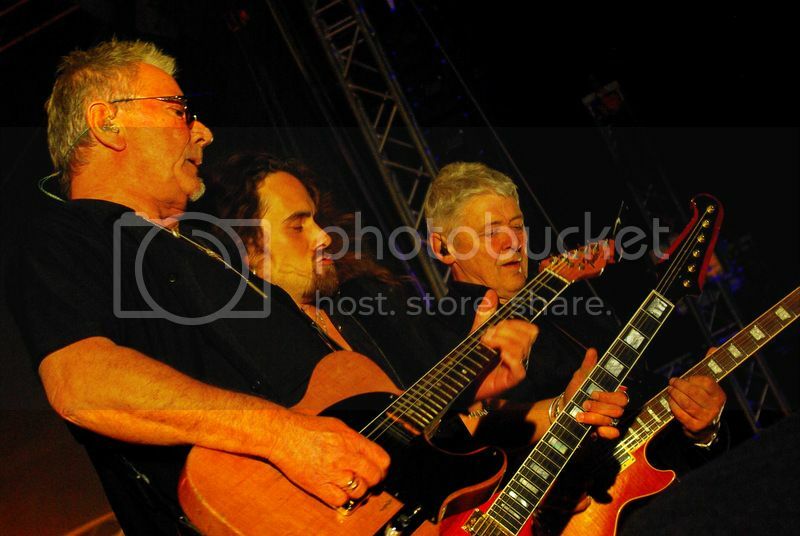 In addition, everyone is always in motion; lots of energy on stage, which is great to watch! They had their own little fanclub gathered in front of the stage, who were really into the concert and were singing along enthusiastically. Add constant “Barna! Barna!” choirs to that and you have an amazing show! Yesterday, after the Raga Rockers concert, I posted on Facebook: “Let’s start a band and play Raga Rockers songs the way they should be played!” Guess I was late with my idea… Honningbarna ended their set with “Noen å håte”, THE Raga Rockers song, and they performed it in the way I would have expected it to be presented yesterday. Both thumbs up for Honningbarna! Next it was time for Jarle Bernhoft. I knew him because he warmed up for Kaizers Orchestra on their last European tour – back then he was playing solo, all alone on stage, imitating all instruments by himself. This time, he was playing with his band – an 11-piece orchestra. Very impressive, especially with the lights and theatralic backdrop. All in all, it was completely different than what I knew of him; actually, I hardly recognized some of his songs. But it was great, and the audience loved it! Pure pop, but with a full band, with background singers and brass… revue style. Totally different from all the other concerts so far on the festival. 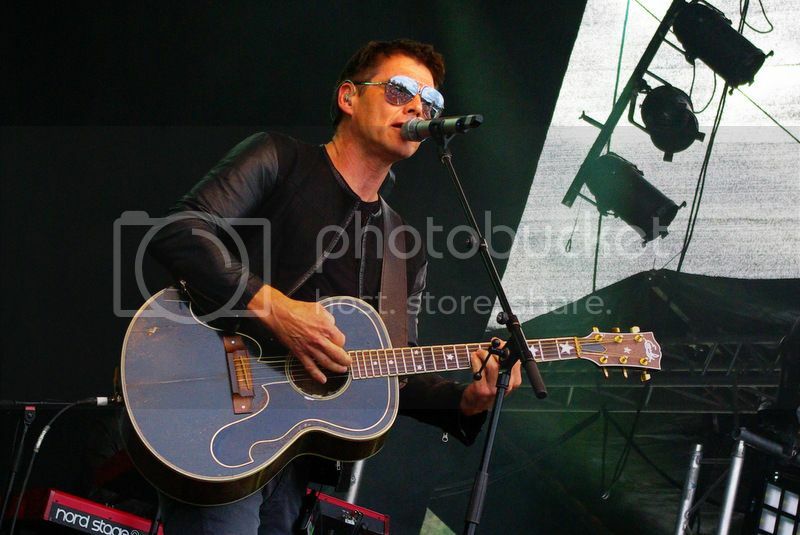 A lot of people in the audience regarded Bernhoft as the headliner of the night – but I assume they were convinced by the REAL headliner, Kaizers Orchestra. As always, they delivered a captivating show, playing their hits and some special extras, and really getting the audience involved. When they played their biggest hit Hjerteknuser, everyone (and I mean EVERYONE) was waving their hands in the air… beautiful! 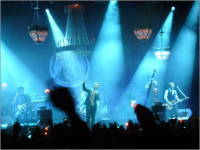 Read the full report of the Kaizers concert on kaizers.konzertjunkie.com. The first artist on stage was Hanne Kolstø. Switching between guitar, keyboard, and tambourine, using samples and loops, accompanied just by one guy on guitar and keyboards, she delivered a great show. She definitely managed to captivate everyone who had made it to the festival grounds already, just by her presence on stage. In the beginning it was still rather empty, but Hanne quickly found out that everyone in the front was there to see Roxette, the headliner of the night. They were from Spain and Germany – and since Hanne didn’t want to leave them out, she started talking in Norwegian and English between the songs, until she got an OK from the Norwegians to continue in English only. =;-) One example of how she made the audience relate to her – she really had a wonderful presence on stage, very likable. Next it was time for another Norwegian “cult” band, namely CC Cowboys. Their disadvantage was that they didn’t really fit into the program of the day – they would have fit perfectly into the first day with Raga Rockers and John Fogerty. Since today was more of a “pop” day, they had a hard time, especially in the beginning. Also, they started off rather slow. Not sure if those were new songs that the audience didn’t know (I didn’t) or if they just decided to start it calmly and then build it up… but the first half of the concert didn’t really catch on. After that, however, they brought on all their hits and the audience got more and more excited. In the end, everyone was singing along and dancing, just the way it’s got to be! A last break before the final headliner: Roxette! I had been looking forward to their show, but mostly because they are a band of my childhood. I didn’t really expect much, but I thought it would be cool to get to hear all the old songs again. And what can I say? I was totally flashed! Actually, I still knew the lyrics of most songs by heart, and it was incredibly nice to hear them live. The show was energetic – even though Marie’s illness is very obvious and she hardly moved on stage. Per and the rest of the band took care of that part. Her voice, however, was in great shape! They concluded the concert with Joyride, Listen to your heart and The Look, giant water balloons in the audience, and lots of energy on stage. Awesome! 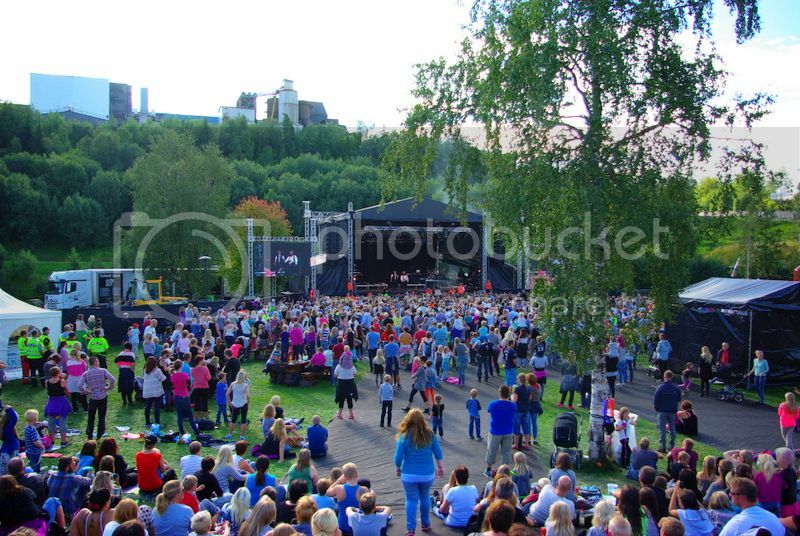 The only downside to this last concert was the audience – while on the other days, most people were at the festival to enjoy the concerts, it seemed that this time the majority was there for the party and didn’t even care about the concert. They sang along during the most well-known songs, but apart from that, it was hard to enjoy the concert between all the talking and all the drunk people falling around. A pity! But fortunately, this was the only day this was noticeable this badly. And the great concert absolutely made up for it! 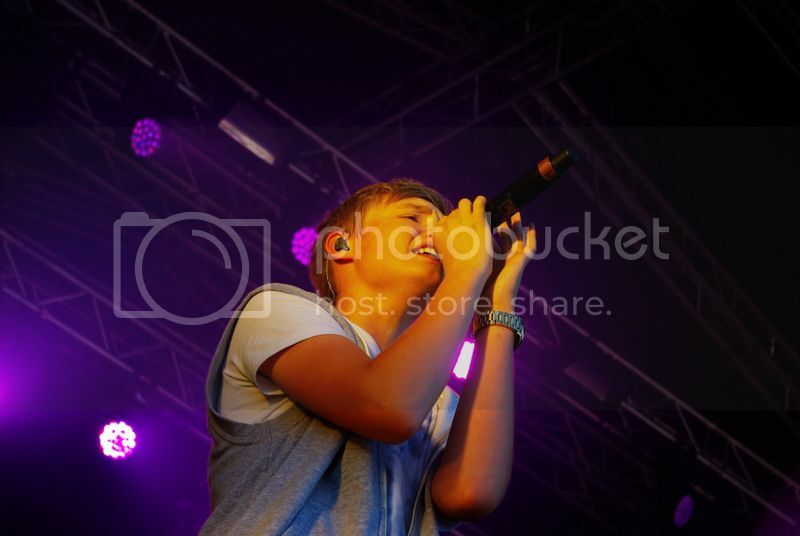 All in all, Odderøya Live turned out to be a great festival. The whole organization of the festival was very professional, and everything was taken care of. The location is perfect – of course the weather played along, it might have been different with rain. But the way it was, it was a perfect summer festival. The festival season is right around the corner! I didn’t write much about this year’s festivals yet, but that doesn’t mean that this summer will be boring concertwise. Oh no, not at all! As always, there are lots of big and small festivals taking place in Norway. And as a rough estimate, you can probably say that all those festivals that did not have Kaizers Orchestra as headliner last year have them this year. =;-) Being the huge Kaizers fan that I am, of course I pick my festivals according to where Kaizers are playing. And for me, the most important factor when deciding which of the festivals to attend is not the location – it can be worth traveling to the middle of nowhere for an amazing festival – but the rest of the line-up. You want to have a great time on all days, not only the one when Kaizers are playing, right? So this time, the choice was really easy: Odderøya Live in Kristiansand! The line-up speaks for itself: The first day of the festival features, amongst others, Raga Rockers from Norway and John Fogerty from the US. You might not know Raga Rockers when you are not into Norwegian music – but you miss out on something! Having been around for 30 years now, they are an “institution” in Norway. However, this will be their last tour; another reason not to miss their concert! For sure, Raga Rockers and John Fogerty will provide a great opening day for the festival. Day two has, amongst others, Honningbarna, Jarle Bernhoft, and Kaizers Orchestra. 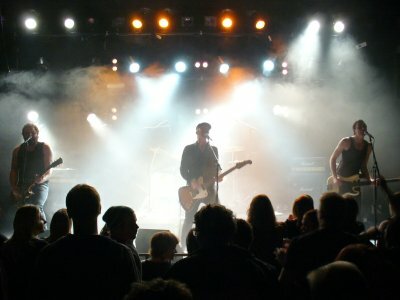 Honningbarna is a young Norwegian punk rock band that has really taken off the last two years. 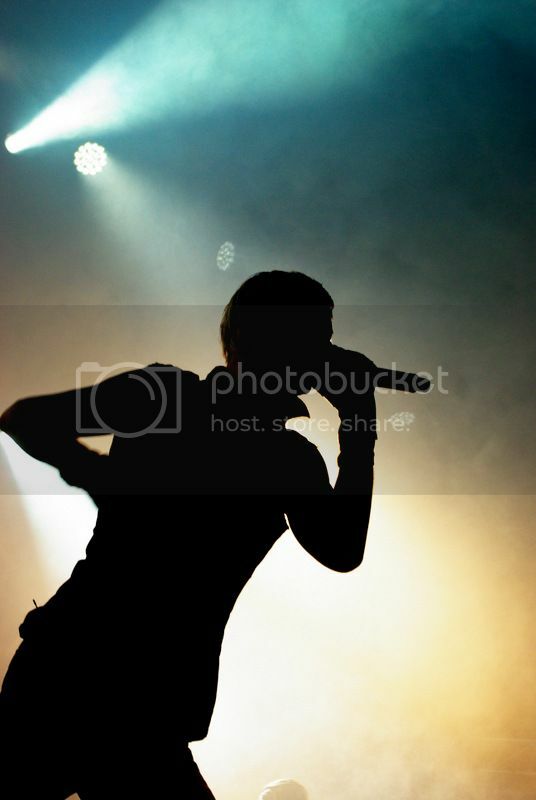 Similarly Jarle Bernhoft – no, not regarding the “punk rock” part, but he also made it big in 2011, even being elected the “Spellemann” of the year, which is one of the highest music awards in Norway. And then there’s Kaizers Orchestra as headliner – a guarantee for a great concert with everyone in the audience singing along every single line of every song. Last but not least, day three offers concerts by CC Cowboys and Roxette, and some more of course. CC Cowboys is another band that every Norwegian knows and loves. I saw them at a festival a couple of years ago, didn’t know any of their songs, and was captivated right away because they just manage to drag you along, even if you don’t know them. Amazing! This time, I know their songs, so I’m really looking forward to their show. I guess I don’t need to introduce Roxette – everyone knows their old hits, and they also have a new album out now, so I guess we’ll get a nice mixture of old and new. So, thumbs up for this amazing line-up! And if that is not enough to convince you to pay Odderøya Live a visit – how about the location? The festival takes place in Kristiansand, in walking distance to the city center, so you can enjoy the city life and a festival at the same time. And all of this in the middle of July, where the chances that the weather will play along are highest. 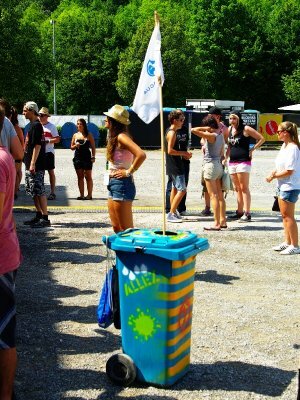 You might even be able to visit the beach before walking out to the festival for the night! Getting to Kristiansand is easy – if you’re coming from abroad, you can fly directly to Kristiansand, or take the ferry from Hirtshals. Kristiansand is also on the train line from Oslo to Stavanger. There’s lots of hotel accommodation available, and in general, Kristiansand is worth a visit, especially in summer. The ticket price for a festival pass is about 1500 NOK – this might seem a lot to Europeans, but for Norwegian standards, that is a very fair price. And well worth the money! There are also day passes available. You can find all information at odderoyalive.no or on Facebook. Tickets can be purchased online at Billettluka. And the tour goes on – next stop: Berlin! Berlin is also known for great Kaizers concerts, and again, we got just that. In a way, the concert seemed like a rerun of the Munich concert, because they “recycled” some announcements and things (like for example Hellraizer’s confusion about the break in Delikatessen), but that isn’t bad at all – if it works, do it again! Of course the concert started with Jarle Bernhoft, who changed the name of Postbahnhof in “Postbernhoft”. At least I think that’s what he did, if I understood it correctly. 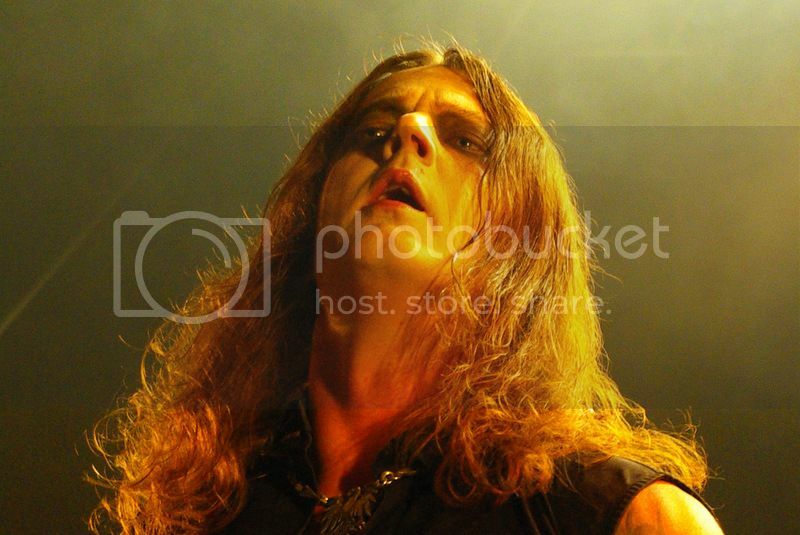 And as always, Jarle was a good sign for how the atmosphere during the Kaizers concert would be. 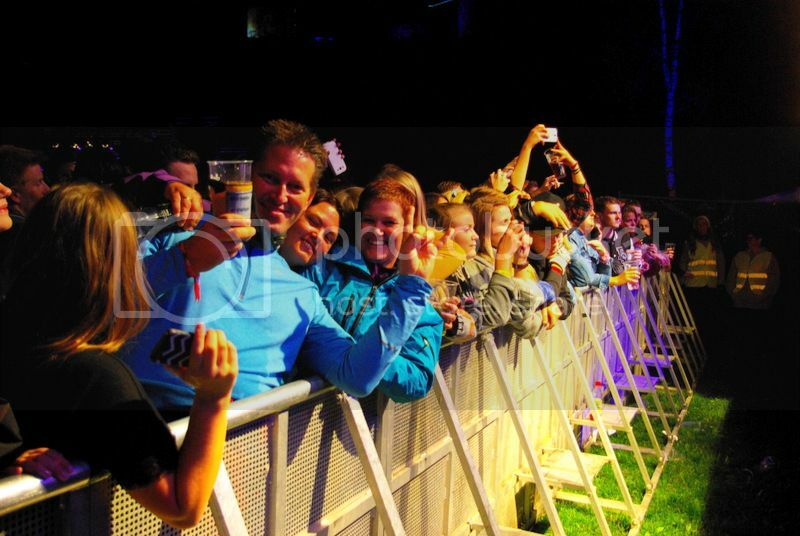 He got a great reception, and so did Kaizers lateron! The setlist was shortened a bit: Intro, Delikatessen, Djevelens orkester, Señor Torpedo, Veterans klage, Sigøynerblod, Resistansen, Philemon Arthur & The Dung, Din kjole lukter bensin mor, En for orgelet en for meg, Psycho under min hatt, Svarte katter & flosshatter, Sju bøtter tårer er nok Beatrice, Bøn fra helvete, Kontroll på kontintentet, Maestro. Encore KGB, Bak et halleluja, and Kvite russer. By the way, the German translation for Bak et halleluja is “Hinter ein Halleluja” (just like the organ is still called “Eins für das Orgel und eins für mich” *g*). And in the middle of the song, Killmaster proved that you can also hit the barrels with a photo camera in your (other *g*) hand. By the way, the venue seemed really packed – which isn’t really that surprising, because Postbahnhof is a bit smaller than for example Muffathalle. Thus the concert was really great!